The “Elevate” Capstone team visits Airlift Northwest’s headquarters near Boeing Field in Seattle. From left are Vincent van der Meulen, Jessica Basa, J. Benjamin Leeds and Tiffany Chen. Image credit: UW iSchool. Love this story. It’s a perfect example of intersection of sustainability (effective, efficient operations) and resilience (emergency preparedness and response). 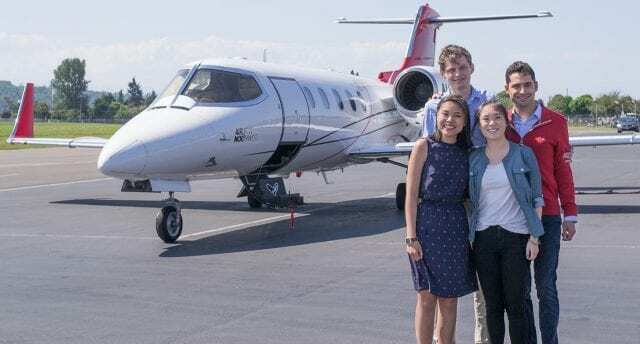 UW iSchool students recently partnered with UW Medicine’s Airlift Northwest to complete a capstone project in which they developed an app to help Airlift Northwest personnel communicate better during emergencies responses.